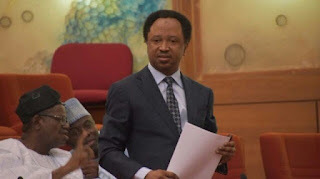 Shehu Sani, Senator representing Kaduna Central has supported the reintroduction of history to the curriculum of basic and junior secondary schools in the country. The Federal Government had on Monday ordered the reintroduction of History as an independent subject into the basic and junior secondary schools in the country. Shehu Sani on his Facebook page noted that Nigeria’s history was not all about ex-president Goodluck Jonathan, President Buhari. He wrote “Reintroduction of History in Nigeria’s school curriculum is commendable.Knowledge of history and taking lessons from history will help in shaping or reshaping the minds of our younger ones.It will help them to know more about where we came from and how we arrived here. “They will know more about the storms,the turbulence,the pains,the failures,the successes on our path to nationhood;and how to create their own path to the future while avoiding our mistakes and tragedy.